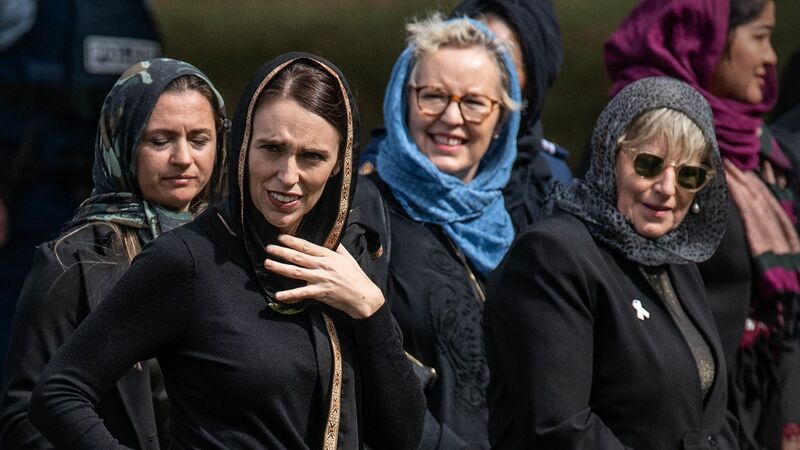 New Zealanders honor attack victims with "headscarves for harmony"
One week on from the Christchurch mosque attacks, many New Zealanders showed their support for Muslim communities by wearing headscarves during the country's national day of reflection Friday. Details: The Headscarf for Harmony and the Scarves in Solidarity movements, backed by Kiwi organizations such as the by the Islamic Women's Council and the New Zealand Muslim Association, were both designed as a way of showing support to the families of the Christchurch terrorist attack victims. What they're saying: Headscarf for Harmony organizers said their initiative was a "very simple gesture of support for our Muslim communities grieving the loss of 50 amazing mothers, fathers, children, friends and colleagues in the terrorist attack last Friday."